Get in the Boat addresses the #1 issue preventing companies from realizing the value of digital transformation. Technology is an important element of any transformation—but the critical piece is the technologist, who bridges the gap from creation to reality. Unfortunately, many technologists are not perceived as relevant by business leaders, nor invited to participate in critical decisions. This International Best Seller faces this challenge head-on, helping business leaders and technologists to have a bright future in the same boat. 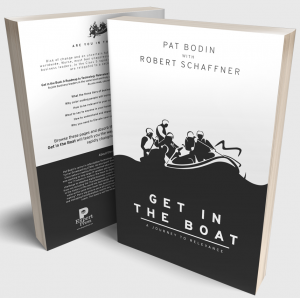 Get your signed copy of In The Boat or purchase more with our bulk rates for your organization by contacting us directly here. Or purchase your copy here on Amazon.